KC Brains Sweet Dreams is a fine indica dominated marijuana strain is another surprise from KC Brains. 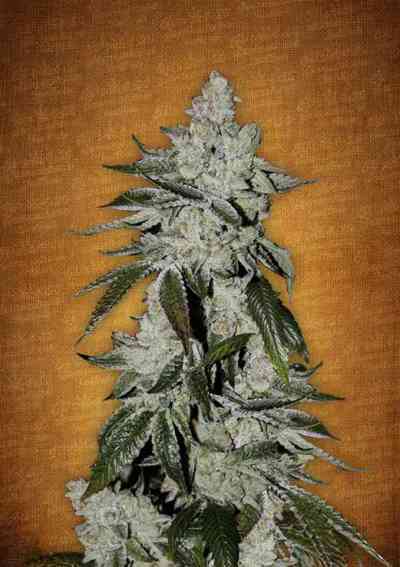 Their seed breeders crossed a Californian Big Bud Skunk with a KC606, two of the most successful cannabis varieties. Both parents are characterised as extremely strong and potent strains with great yields, yet easy to cultivate. Sweet Dreams cannabis seeds successfully took over all these qualities. 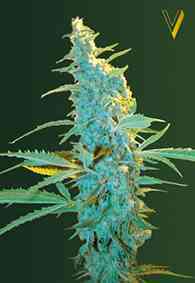 She produces cactus looking plants of dark green shade with longish fat leaves and big sturdy buds, so typical for indica marijuana varieties. Sweet Dreams cannabis seeds produce plants which can grow nearly everywhere thanks to their stable indica genes, they show great results indoors, green houses and outdoors; in pots, soil and hydroponics setups. Indoor varieties grow as tall as 100 cm, while the plants growing outside will stretch up to 2 - 2.5 m high. Wherever you decide to place your Sweet Dream, she won't betray her image as a great yielder; you can get as much as 900 gr. per outdoor plant! and 130 gr. per indoor one! Outdoor harvest starts in September and go through October. The indoor plants of this marijuana variety have a 8-10 flowering period at the end of which Sweet Dreams starts producing smooth slightly citrus aroma. The smell becomes more intense during her short maturing period. Seeds arrive and bud almost instantly. The buds are BIG; they make a beautiful shiny compound along sturdy branches. High content of THC gives the buds' crystals a nice yellow shade. As a typical indica, Sweet Dreams contains a high amount of CBD which means heavier, sleepy type of high, ideal for total body and mind relax and pain relief. Together with a very interesting smell and taste, a well balanced blend of a sweet orange and a skunky hash, she is definitely one of our favourites.